In a world filled with chaos, fear and turmoil, we find peace, calmness, and exquisite color to calm our minds in your beautiful Mondays capturing the beauty around us. Keep the Mondays coming!! It’s a good strategy Muriel to stay sane and happy, the more time I spend painting, the less time I have to watch the news. Glad we can remember to appreciate the beauty around us. My husband & I had a cottage just at that end of the lake. You were at the boat ramp!! I love it. Yes I was Kate, what a nice place to have a cottage! 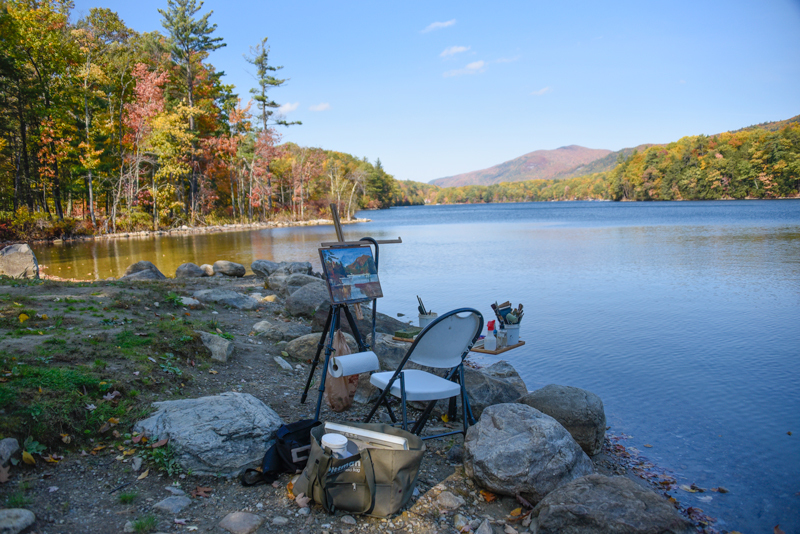 I thought I recognized the public access area of Fern Lake, where you painted from. Our house is just across from there. It’s a log house set up on a small rise. Love it there. It’s our 4 season home away from home. Vermont is a treasure. 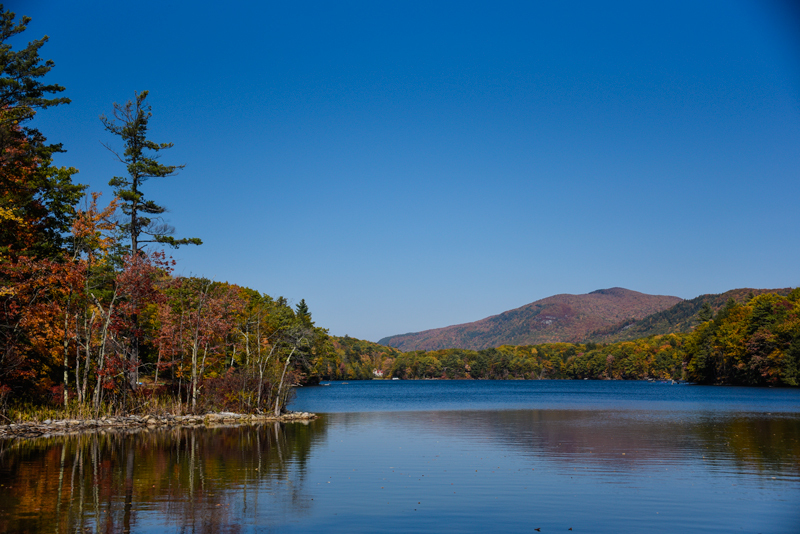 Thanks Chris, you must really enjoy it there, a Vermont panorama every day of the year. I love this one, Peter! The reflection is just beautiful! Thanks for sharing! We stayed on Fern Lake about 5 years ago in a camp down near the far end where the white home is in the picture. Such a nice quiet lake, no motorized boats and good fishing. Great for relaxing and reading in a nice screened in porch and listening for the loons on a foggy morning. The painting is beautiful! Sounds like you have some very fond memories of your time there. Thanks Ralph and Anne! Hills, radiant with autumn fire only days ago, now soften to more delicate grays and muted tones of earth. The birds of recent summer now sing but softly, if indeed they sing at all, and we humans try to slow a bit as if to halt the changes of another passing season. How beautifully you have captured the colors, spirit, and gifts of the season’s advancement. Another poetic description Brian. Indeed, the seasons are in perpetual transition, just like us. 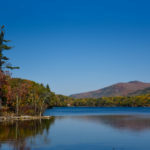 Absolutely beautiful, however, I must admit that while I’ve lived in Vermont for over 40yrs, I have never even heard of “Fern Lake” and I’m more embarrassed to say that I also have no idea where Leicester is. I stumbled onto Peter Huntoon’s website quite by accident and I’m so glad I did. Nothing to be embarrassed about Susan, we both could live a hundred lives and not see everything. I live nearby and I had never been to Fern Lake before. Art gives me a very good excuse to explore and discover. This has got to be my favorite yet ! Love your work !!! That’s just GORGEOUS. I loved what you said: “Peak color passed through and gently waved goodbye.” You are immersed in the art of life, Peter. An inspiration to us all. I guess I have my moments Betsy, and I’m thankful I get to share them with you. When I was a young girl we would go swimming here. I was the oldest of 7 children and we were poor farmers. We had no money to pay to swim in Lake Dunmore, so my father would drop us off after he had his lunch and my mother would teach us to swim. My father would pick us up either just before his night chores or after. This brings back many memories. I am now 65. I think often our best memories are those that didn’t cost a dime. Thanks for sharing Holly! I’d like to say it in German “Das haut einen vom Hocker.” Translation: This strokes you from a chair. But the meaning is something is so good that you’ll be blown away. Anyway: you are the best propagandist of the tourist Ministry of Vermont. Now I’ve been called many things, but this is a first for “propagandist.” Since it’s for the good of Vermont, it’s an honor! Thanks Doris! Beautiful! My husband was from Vermont, and he loved the water. My being from the mid-west, I grew to love the water too. I find any picture with water to be very tranquil and relaxing. Beautiful picture Peter. 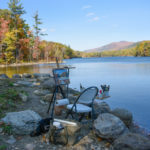 Thanks goodness there’s at least another couple hundred Lakes and Ponds left for me to paint in Vermont. Thanks Carol! Beautiful! Here’s a subject for you: “Mud Season in Vermont!” That should keep you busy for a while! No doubt David, no shortage come Spring. 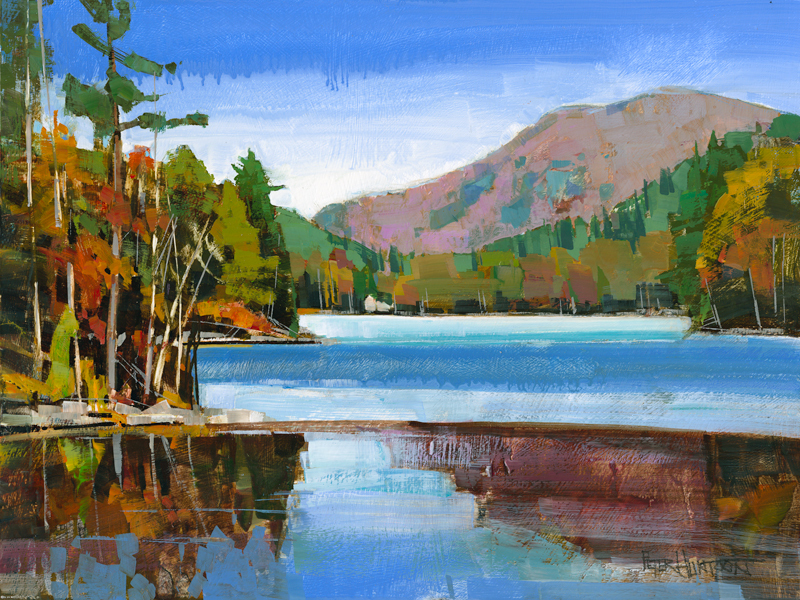 Really a lovely painting – makes me want to see this lake in person. It’s worth the trip Mary, thanks! Thanks Mary Fran, that is a lot of steps! But You have been to Fern Lake Peter! About 15 years ago (when you taught us all so many great classes) I had you, Mary Fran and a few others to my home on Fern Lake to paint for the day. You sat on the dock and painted the island. Gave it to me when you left as a gift. I treasure it, as Tom and I do every day living here. Amazing how we depend on computers so much, when mine goes down I panic! Thanks for all the support and kind comments Cynthia! Thank you so much for painting this beautiful lake. I live only 4 miles from it, and never knew it existed, until my sister bought a camp this summer on the lake. I HAD to order this as soon as I got the email from you. I am SO excited to have #1 and have it framed for my sister for Christmas. Keep up the awesome work !!!! We love all your work. Thank you very much Cheryl, so glad I could help with a Christmas gift!